I love the colours chosen for this weeks Dynamic Duos Challenge, they are so pretty together. I got out the Purple Onions 'The Bird House' stamp, I haven't used it in ages. I thought the card was lacking when I finished so I added a bit of doodling. 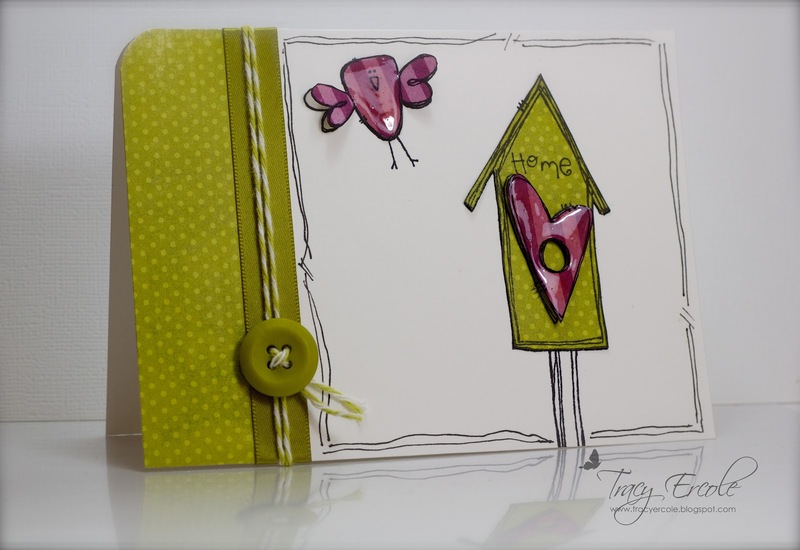 VERY cute, Tracy - I just love the glossy bird and heart! I love the simplicity of this card! And so very cute. Well done! Love this card, Tracy! Love the the design and the doodling definitely adds to it. Tracy this is SO CUTE! Love your polka dot bird house and the dimension on the flapping bird wings. Thanks for playing along with us at Dynamic Duos! Very cute card. I love those colors together and I am sure into birdhouses - they are all over my kitchen! This is super cute. Love the added gloss and your doodling looks great! Thanks for joining us at Dynamic Duos this week. Love your adorable card Tracey. The little bird house and bird are too cute. Thanks for joining us at Dynamic Duos this week. Ahhhhh!!! Love that bird...I did a Razzleberry bird on my card too!!! (Yours is cuter!!). So glad to see you at Dynamic Duos! Love the hand doodling! Thanks for playing with us at Dynamic Duos! 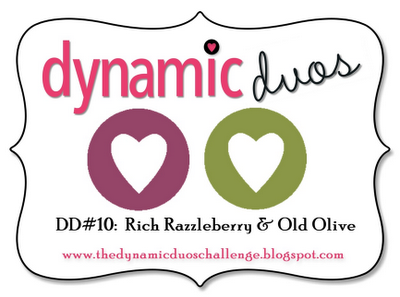 Congratulations, Tracy, for being named a Dynamic Duo Darling! Your card is beyond darling! !